Spark features a lightweight aluminium frame with Mozo front suspension fork and is equipped with a full 21 speed shimano drivetrain, including shimano chainset, derailleurs and shifters, braking is supplied by powerful cable operated Zoom disc brakes. 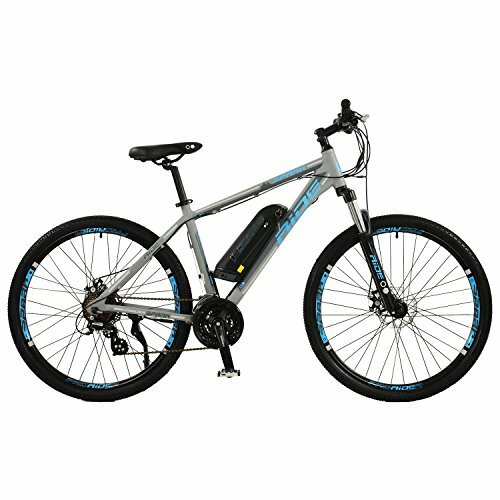 A high quality 250W Taiwanese motor is powered by a lightweight 36V/10.4AH Lithium ion Panasonic battery for reliability, and this gives a range of between 45 and 55km from on one charge. The Spark features a comfy well-padded saddle and has comfortable two tone dual compound grips and riser handlebars.